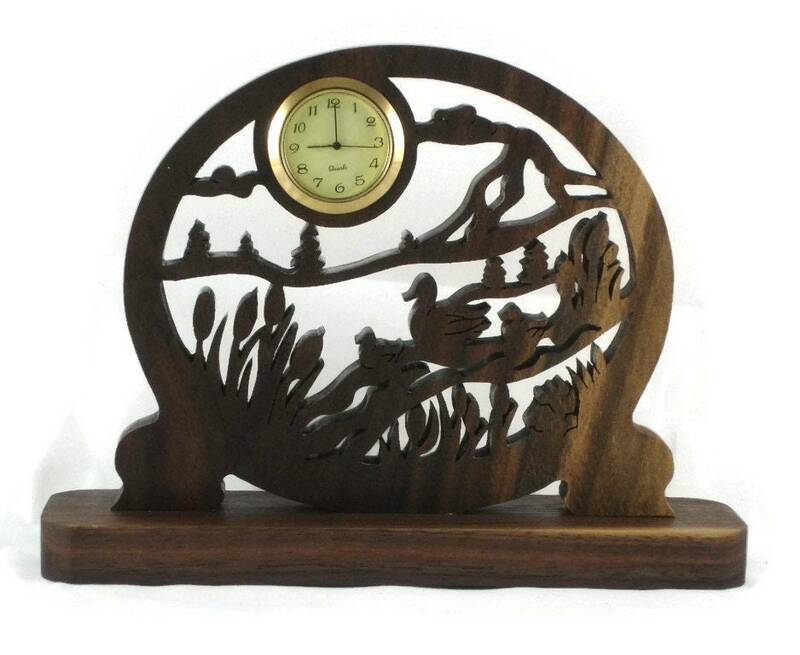 If you or someone you know likes nature especially ducks, duck hunting then this duck with ducklings desk or shelf clock is for you. 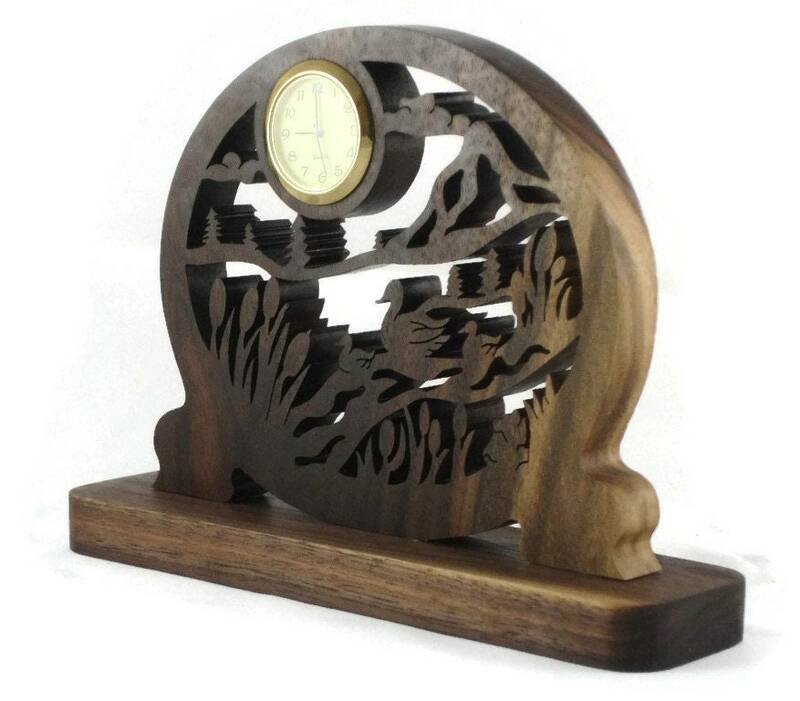 This clock was handmade using a scroll saw cut out by hand from 1/2 inch hand selected walnut wood. 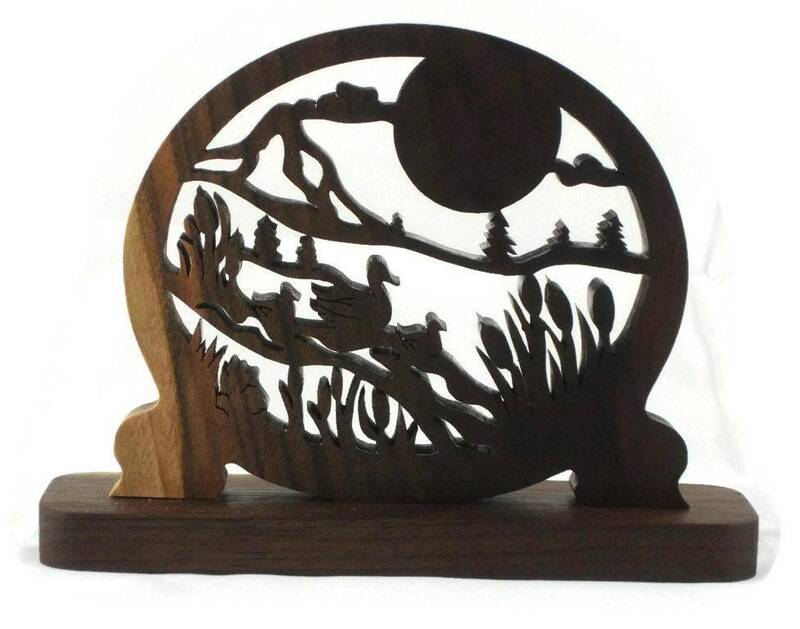 This clock features a duck with its ducklings swimming in a pond surrounded by cattails and a tree line in the background. 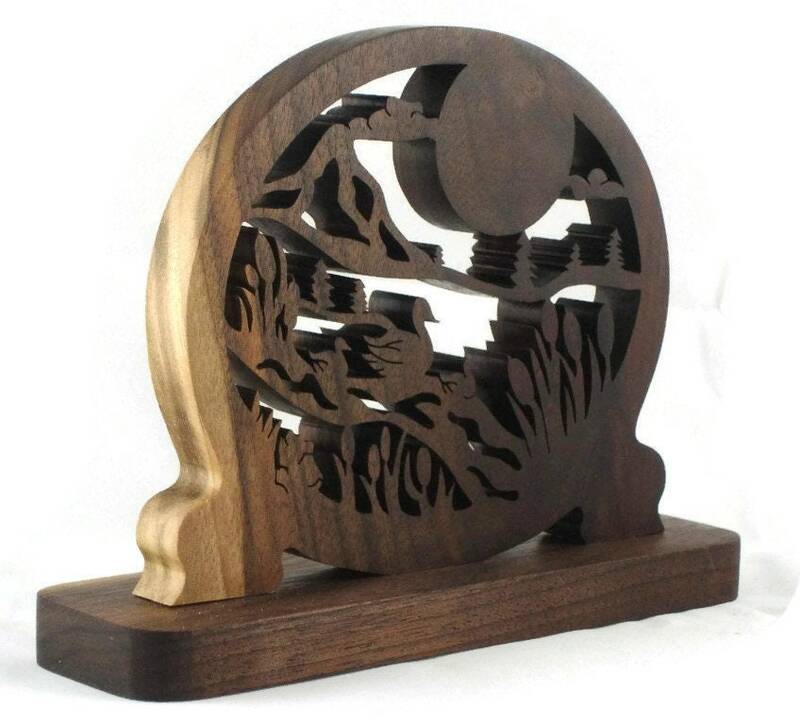 Up in the center of the sun / moon is where the mini 1-7/16 inch quartz clock insert is. Beautiful colors in the woods grain really sets this piece off. The 1-7/16 inch quartz clock features a glass lens, ivory colored face with black Arabic numbers, and a gold plated bezel / trim. 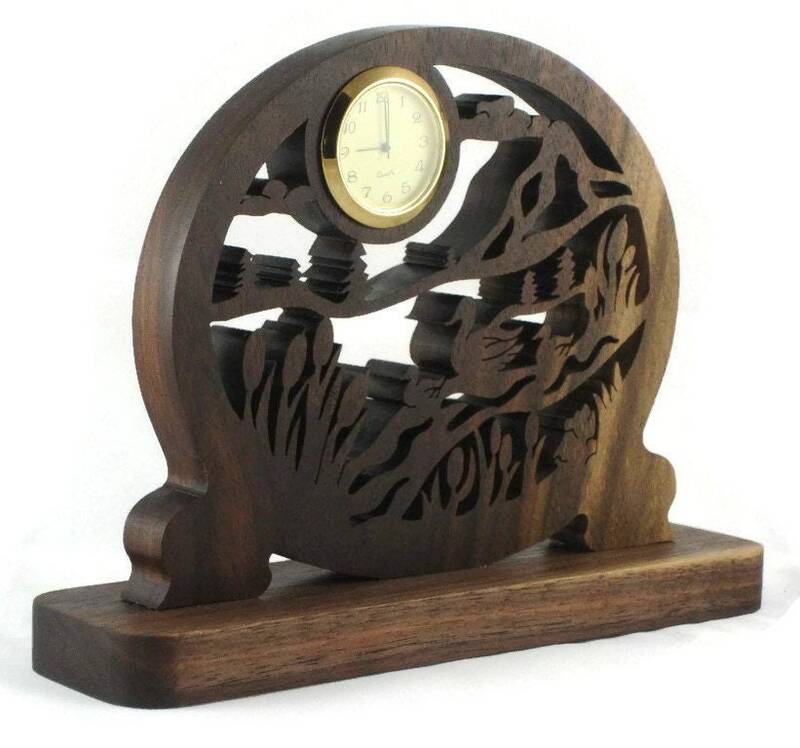 Clock comes with battery installed and ready for you to activate it, and display it on your desk or shelf for everyone to envy. This measures approximately 8 inch wide by 6 inch high and 2 inch deep. Made from 1/2 inch walnut hand selected lumber. This has a non-toxic home brewed mix of bees wax and mineral oil finish applied. This finish not only protects and beautifies but, it also gives the wood a real smooth silky feel to the touch. Like this in a different type of wood? Contact me as I would be happy to make another from another type of wood.